Consider this: When Vikings GM Rick Spielman packed his stuff for Arizona and the NFL’s annual meeting in March, the quarterback who would lead Minnesota on a seven-game winning streak eight months later was available for almost nothing to every team. And it wasn’t until after Spielman arrived in Phoenix, nearly three weeks into free agency, that he picked up the phone to engage in negotiations to bring Keenum to the Twin Cities. Spielman says now the Vikings liked how decisive he was in getting rid of the ball, and that he could make things happen with his feet, and that initial call led to a visit, during which the former Texan and Ram signed a 1-year deal. That guy plucked off the scrap heap? He’s now 8-2 as a starter, and the 9-2 Vikings seem to keep getting better, which neither Spielman nor anyone else in the Vikings organization, admittedly, saw coming. “I don’t think anyone did,” Spielman said yesterday from a jubilant, victorious Viking locker room. “That’s why football is such a great game. You get guys like Adam Thielen doing what he’s doing this year. You just don’t know. But sticking to our values in what we’re trying to bring into the organization, and having trust in this coaching staff that does an incredible job coaching these guys has paid off. What we’ve seen the last three weeks isn’t just that. And yesterday certainly wasn’t just that. 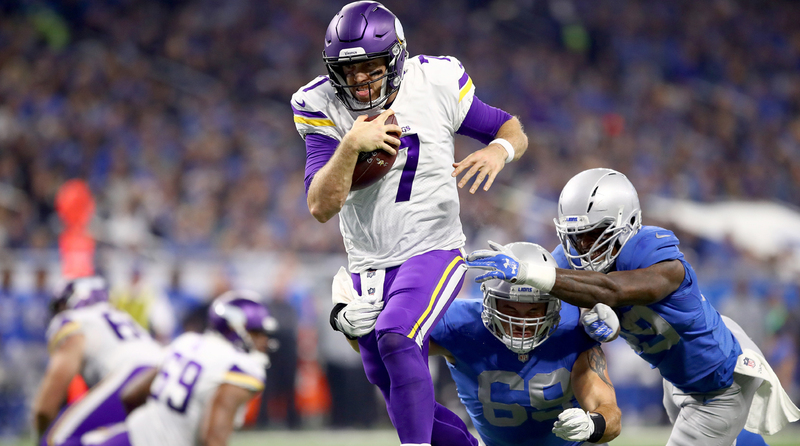 Quarterback was a real team strength for the Vikings in their 30-23 win in Detroit over a Lions team fighting to stay in the playoff picture. Keenum finished 21-of-30 for 282 yards, two touchdowns, no picks and a 121.8 rating. He was nails early on in helping build a 13-0 lead, and solid late, as Minnesota held off the rallying Lions. In the three games since former first-round pick Teddy Bridgewater was cleared to return, Keenum has completed 71.1 percent of his throws for 866 yards, seven touchdowns, two picks, 8.93 yards per attempt, and a 114.0 rating. Keenum took a tough decision off the table, and the Vikings have won seven straight. Maybe the clock will strike midnight soon. But for reasons illuminated for the national audience to see on Thanksgiving, the Vikings feel pretty good riding this Cinderella story until that happens. In this week’s special holiday weekend Game Plan, we’re going to hook you up with another interesting look at NFL analytics; dive into the Raiders’ coordinator change; explain why the Saints showed another gear in their comeback win last week; dissect the Chargers’ resurrection; and take a quick spin abroad to wrap up this year’s International Series. We’re starting, though, with the story of Thanksgiving Day in the NFL, which is becoming one of the stories of November in the NFL. It's the tale of what’s happening in Minnesota, where the Vikings used a nightmarish 2016 to fortify their foundation for 2017. The Vikings lost their quarterback for the season (they thought Bridgewater may never play again) in an August practice, and injuries cost starting tackles Matt Kalil and Andre Smith 26 games, and Adrian Peterson all but three games. They switched offensive coordinators in October, and Zimmer’s eye issue (he wound up having eight surgeries) knocked him out for a game, and limited him in other ways. When it was over, Zimmer and his staff identified issues that caused four losses by six points or less—red-zone penalties were one—and drilled them in the spring. Still, part of this was going to have to be on Spielman and his staff, and their work was put to the test early. Sam Bradford looked incredible in a season-opening win, but suffered a bone bruise in the process. The Vikings lost two of their next three, and stud rookie Dalvin Cook tore his ACL in game four, with Minnesota staring down the barrel of 2-2, and a repeat of 2016. Groundhog Day never came, and not just because the Vikings built resilience into their mentality. They also built resilience into their roster. With Peterson gone, the Vikings wanted a big back who could pick up yards after contact to pair with Jerick McKinnon. They wound up with Latavius Murray, who’s carried the ball 15 times or more in each of the Vikings’ last six games. Murray had 84 yards and a touchdown on Thursday, and he’s definitely softened the loss of Cook. On the offensive line, the signings of tackles Riley Reiff and Mike Remmers have worked out, but the team also needed depth. So last November, they plucked Rashod Hill from Jacksonville’s practice squad. He’s started the last three games with Remmers healing from a concussion, and without the nuclear winter that last year’s line injuries led to. And then there’s Keenum. They sunk two first-round picks, a fourth-rounder and around $20 million in 2018 cap dollars into Bradford and Bridgewater. And yet, it’s the guy who cost them no draft picks and $2 million who’s gotten them here. The resilience shows in other areas, too. In Detroit, it came up as the Lions battled back. On a third-and-3 in the fourth quarter, with the lead cut to 27-23 and the hosts carrying all the momentum, Golden Tate collected a short throw from Matthew Stafford and was swarmed by three Vikings as he took a step back short of the sticks, forcing a punt. On the Lions’ next possession, Xavier Rhodes secured the win with a spectacular pick. In the end, Minnesota held Detroit without a first down for the final 14 minutes of the game, while churning five of its own out to grind the clock down to zero. So in one way, Keenum’s the story here. In another, the bigger picture is how everything, including a talented young core hitting its prime, is working around him to facilitate his play. And no matter who you want to credit, the Thanksgiving game just gave everyone more proof that the biggest beneficiaries of last year’s bad fortune in Minnesota were the guys who were the victims of it. “It’s a totally different team, it’s a totally different mentality,” Spielman said. “It all starts with Coach Zimmer. Last year with what he was going through, it seemed like he had an eye surgery every other week, wasn’t there versus Dallas. And you could tell, even when we started in the OTAs, that he was back. And his leadership of this football team, what he does with this group, was back. That much, we all knew coming into the year. That Keenum is one piloting them to all this, though, is something else. 1. Raiders firing Norton a sign of bigger issues? I wouldn’t dismiss Jack Del Rio ousting Raiders defensive coordinator Ken Norton as some sort of move to create a spark. My sense is there are bigger issues that Del Rio has to work through. And they could well determine where Oakland, more than just this singular team, goes from here. Remember, this is the second coordinator Del Rio has fired this calendar year, and that’s all coming off a 12-4 season in 2016. It starts with the inner workings of the staff, and the way the pieces fit that Del Rio put together. Last year, Bill Musgrave commanded the NFL’s sixth-ranked offense, but his quarterbacks coach, Todd Downing, was in demand after the season, as he had been after the 2015 season. Downing, it so happens, was brought into the NFL over a decade ago by ex-Vikings coach Mike Tice, who’s now the Raiders offensive line coach and a close confidant of Del Rio’s. So the decision was made in January that in order to keep Downing, they’d need to move on from Musgrave. Around the same time, ex-Chargers defensive coordinator John Pagano was hired after Mike McCoy’s staff was fired in San Diego, giving Del Rio the rip cord if he wanted to pull the plug on his incumbent third-year coordinator, Norton. 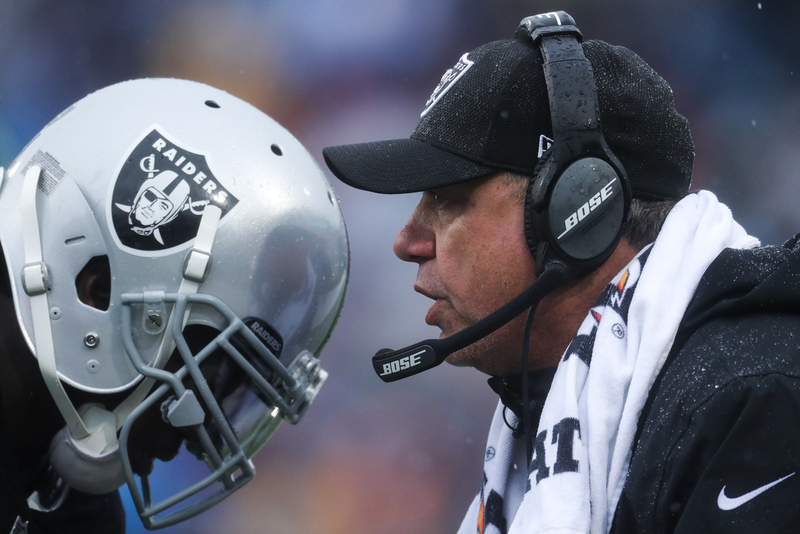 Those things can linger over a staff, and a team, so as questions have festered over whether the team should’ve stuck with Musgrave (the Raiders are now 21st in total offense), they boiled over on Norton’s job security. Now, that isn’t to say Del Rio’s in trouble. He signed a four-year deal in March, so he’s locked in through the team’s first season in Las Vegas. And he did take the team from horrendous to mediocre, and then from mediocre to really good over his first two years. Chances are Davis won’t want to eat that money, and if this season ends like it looks like it might, Del Rio deserves the mulligan. Assuming he gets one, Del Rio has some issues he’ll have to work through in order to get everyone back on the same page. Panic Meter: What Impact Could One More Loss Have on These Contending NFL Teams’ Seasons? 2. Saints pull the Brees’ lever, and it’s still in working shape. The Saints rank Top 10 in the NFL in rush offense and total defense, and if they stay there, it’ll be the first time they’ve finished Top 10 in both in Sean Payton’s 11 years in charge. So Drew Brees no longer has to throw for 300 yards every week for New Orleans to have a chance, which is a great development for a quarterback who turns 39 in January. Even better news? On Sunday, the Saints needed to summon their old high-flying ways, and they showed they can still play that way if they need. New Orleans was down 31-16 to the Redskins with 5:58 left. On the Saints’ next two possessions, Brees was 11-of-11 for 164 yards and two touchdowns, tying the game and doing it so efficiently that they didn’t need an onside kick, or to even attempt one, after the first of the two scores. Seeing a legend step up like that, of course, isn’t a bad thing for a young team to witness. But as Sean Payton sees it, that old legend is getting plenty out of his relationship with those young guys too. The box score from Sunday will tell you that’s happening again here. Three guys tied for the team lead with six catches—one is a second-year guy (Michael Thomas), another is a rookie (Alvin Kamara) and the third is new to New Orleans (Ted Ginn). And then, New Orleans turned to the ground game again in overtime, with 20- and 31-yard runs from Mark Ingram setting up the game-winning field goal. So the old and new passing game both worked in closing out the Redskins. And as a result, it looks now like the Saints can win every which way, which is a fantastic sign for January. 3. Charging back into the playoff picture. When I got ahold of Anthony Lynn on Thursday, the Chargers coach was already aboard the team charter, leaving his old home for his new one with a convincing 28-6 thumping of the Cowboys in tow. And so by then, the native North Texan had time to process this trip, which was a unique one for him for all the reasons that Peter King chronicled on The MMQB. Even better, that plane took off with a team that has miraculously climbed off the canvas, carrying the cuts of an 0-4 start, and back into the playoff race. Friday morning, they’ll wake up a game-and-a-half back of Kansas City in the AFC West. Lynn says the slow start was a matter of a coaching staff having to learn each other and the players, and players who had to learn to win. Close wins over the Giants and Raiders accelerated a process that was coming slower than Lynn figured it would, and the coaches’ “no excuses” rallying cry that carried them through a nomadic offseason proved useful, too. Part of it really came down to a talented roster just needing to let it rip, something you can see now happening with budding young stars like Joey Bosa, Melvin Ingram, Keenan Allen and Hunter Henry, and even an old warhorse like Philip Rivers, who posted a near perfect passer rating and 434 yards through the air against Dallas. 4. Analytics pay off for the Jags while the Browns wait. Cleveland’s gotten a lot of attention for investing in analytics, highlighted by the ascension of Sashi Brown to the top of the football operation and the hiring of ex-MLB GM Paul DePodesta. And the Browns have gone 4-43 since Thanksgiving 2014, and 1-25 since the current regime was put in place. But last week, those Browns played another team, Jacksonville, that’s also very analytical, and finally seems to be breaking through with it. Now the numbers group led by senior vice president for football research and technology Tony Khan isn’t driving decisions the way that Brown has in Cleveland, but that’s kind of the point. The group the owner’s son heads, as well as the Khan-owned TruMedia, is used as a supplement to the traditional scouting and coaching done by the Jaguar departments led by Tom Coughlin and Doug Marrone. One area in which the benefits have shown up are in Marrone’s increased aggression on fourth down; they’re top 10 in attempts. Another is in the productivity of undrafted free agents that Khan’s group has been empowered to sign. It’s one area where the Jags have moved to gamble on players that the data find to be undervalued. One such player was ex-Auburn running back Corey Grant, who burned up the 40 in 2015, posted an outsized speed score (measure of a player’s mass vs. his 40), and had a higher percentage of carries go for 5-plus yards than any player in his class. The Jags gave him a $5,000 bonus. He’s since become a core special-teamer and interesting offensive prospect. He broke off a 56-yard touchdown run on one of those aforementioned fourth-and-shorts against the Chargers in Week 10. Another such player: Second-year safety Jarrod Wilson, who was signed in part because he played almost every snap for a bullish Michigan in the fall of 2015. Like Grant, Wilson quickly won work as a key special teamer in Jacksonville. And interestingly enough, Wilson recovered a punt last week muffed by his more ballyhooed Michigan teammate Jabrill Peppers. So what does this all mean? Well, it’s another example that a wide range of teams are using analytics to differing degrees. This isn’t a yes or no proposition. We’ll see what becomes of the Browns’ setup, but certainly Jacksonville provides an example of how this sort of information can help. 1. New Chiefs cornerback Darrelle Revis said on a conference call Wednesday night that he’s at a healthy 208 pounds, and those who’ve been around him affirm that’s stayed in shape in his time out of football over the past few months. He was way over 208 last year with the Jets, so this is good news for K.C. But a bigger question remains: Can he still run? 2. 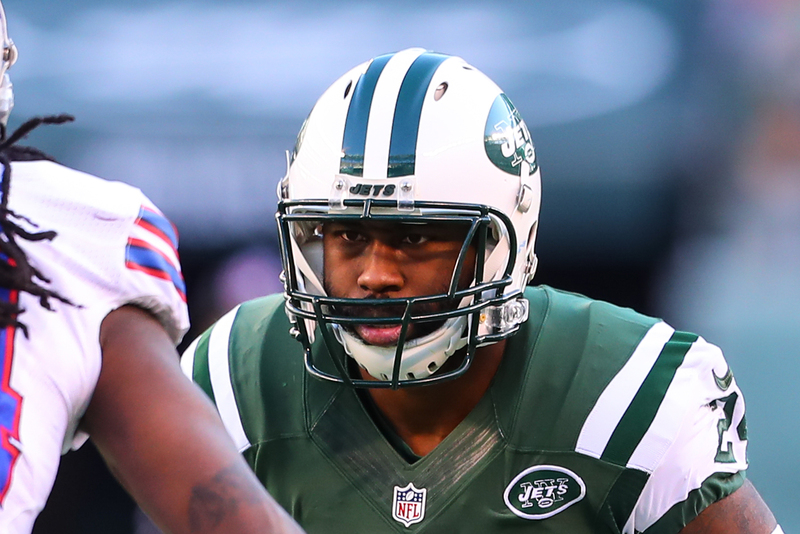 Another question is why Revis agreed to a non-guaranteed second year on his new deal. Year 1 is at the minimum, and because there were offsets in his last Jets deal, he was going to make $6 million for the rest of this year, regardless of what he signed for elsewhere. All the $10 million of non-guaranteed 2018 money does is give the Chiefs control and set a ceiling on what he’ll make. 3. The Bills’ move back to Tyrod Taylor was the only choice Sean McDermott had after Nathan Peterman’s five-interception Sunday in L.A. Why? Well, Buffalo has made a bunch of future-thinking moves (trading Ronald Darby, Sammy Watkins and Marcel Dareus) to set the culture and build capital over the past four months. This one was different. Taylor didn’t present a cultural issue, and there was nothing come back for taking him off the field. And so when it became obvious Peterman wasn’t giving Buffalo a chance, there’s no way the coaches could keep playing him and expect the vets to stay focused. 5. The next checkpoint in Jerry Jones v. the NFL comes with the Dec. 13 owners meeting in Dallas. Now that Jones has backed off his threat to sue the NFL, the ball is in the court of the compensation committee. I’m told they’re chugging along with the details of commissioner Roger Goodell’s extension. Will they push it through without any sort of vote? The answer to that question probably determines where this all goes next. 6. Last week, we detailed what losing Ezekiel Elliott meant in Dallas. On Thursday, they got left tackle Tyron Smith back, and it didn’t seem to matter a lick. And the truth is remarkably simple. Playing without Elliott changes the circumstances of quarterback Dak Prescott, the offensive group around him, and by extension (since the Cowboys can’t control games the same way), the defense too. 7. If you want to see good example of how important such circumstances are for a young quarterback, look no further than the Rams. Los Angeles, behind a resurgent Todd Gurley, ranks ninth in rush offense, which juices play-action elements that allow Sean McVay to marry his run game to his pass game. Since Jared Goff played in a spread in college, creating run-action brings him back to where he’s most comfortable. And all that ties right into McVay’s philosophy: Quarterback is the toughest position, so a coach should do all he can to make the quarterback’s job easier. 9. The Raiders’ pass rush managed just one sack and four hits last Sunday against the Patriots, and a lot of credit has to go to New England line coach Dante Scarnecchia, who’s proving once again to be a ninja in how he develops players. Backup LaAdrian Waddle has played in right tackle Marcus Cannon’s spot the last two weeks, drawing Von Miller and Khalil Mack for most of his snaps, and Ted Karras filled in for David Andrews at center against the Raiders. And for a Patriot line that struggled early in the year, those games went off largely without incident. Given the rules, it’s harder than ever to develop linemen, and even more difficult to develop backup linemen. Somehow, Scarnecchia does it. 10. All the draft picks and money the Ravens have poured into their defense are paying off. Baltimore ranks sixth in total defense, third in points allowed and has pitched three shutouts. Conversely, on offense, problems remain. The NFL wrapped up its 2017 International Series on Sunday in Mexico City, and the league’s eyes are already trained on 2018. There’s a pretty big step coming in a year’s time. That would be the opening of the first major stadium abroad, designed specifically with American football in mind. And honestly, this is something that should probably be getting more attention because it’s easily the strongest sign yet of the NFL’s desire to put down stakes across the pond. Tottenham Hotspur of the Premier League opens its new 64,000-seat stadium next August, at an estimated cost of 400 million pounds. Ten million pounds (about $13.3 million U.S.) is coming directly from the NFL. In turn, the place will have locker rooms built for a football team, facilities for coaches and cheerleaders, and a sunk FieldTurf football field under a retractable grass surface for soccer that will allow for a conventional fan experience for both, without having to tarp seats for football. The obvious next question is whether the league views Tottenham as the eventual home of a permanent NFL team in London. Waller wouldn’t say. But if a franchise were to move there in five or 10 years, it would need a home, and now there’s a natural one for it. In every other international game to this point, the NFL has needed to do a lot of work to get the stadium itself ready. The point about the Premier League that Waller made shouldn’t be ignored, either. The NFL has previously played games at Wembley and Twickenham, which are national stadiums that are not used by any specific club teams. So being in Tottenham allows the league to try and leverage a piece of the UK sports experience. • The game in Mexico City went off better than last year, when playing the Monday night before Thanksgiving and flying out of a private airport over an hour away proved a logistical nightmare for the Raiders and Texans. Waller says he got a nice note from Patriots president Jonathan Kraft on Tuesday, and another from Raiders owner Mark Davis on Wednesday, both of which said how satisfied their teams were with the trip. Playing on Sunday afternoon, and flying out of the international airport certainly helped. • The league’s new deal to play games in Mexico stipulates that there will be one game a year through 2021, and all of them will be at Mexico City’s Estadio Azteca (recent renovations there made it an ideal site). Waller said, for now, he doesn’t see the league looking to play multiple games per season there, largely because they aren’t testing the market and its logistics the way they are with London. • So the NFL will have the single game in Mexico next year and, as I understand it, no more than four in London. 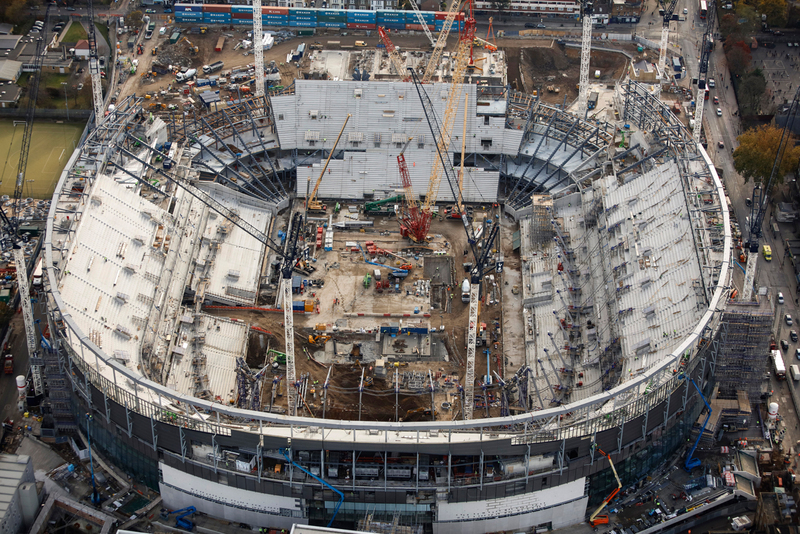 The league is contractually obligated to play two games at Wembley, and plans to play at least one at the new Tottenham stadium, with the rugby ground at Twickenham (the NFL played games there last year and this year) still an option if needed. Overall, Waller looks at all of this and thinks the league is in good shape abroad, one of the areas where it can grow revenue outside of the traditional business model. And, from Waller’s perspective, it’s reason to feel good about next year’s big step. • We have a newsletter, and you can subscribe, and it’s free. Get “The Morning Huddle” delivered to your inbox first thing each weekday, by going here and checking The MMQB newsletter box. Start your day with the best of the NFL, from The MMQB. • Question or comment? Story idea? Email us at talkback@themmqb.com.